Energy Drinks Aren't Healthy, But Are They Fatal? Energy Drinks Aren’t Healthy, But Are They Fatal? Before you reach for a can of energy drink for your mid-afternoon boost, stop to read the frightening facts. The Food and Drug Administration (FDA) has recently confirmed 13 deaths and 33 hospitalizations attributed to 5-Hour Energy Shots. Similarly, the Monster Energy Company is under current investigation for allegedly causing five deaths and one non-fatal heart attack, and is involved in a lawsuit by the parents of a 14-year old girl who died after drinking only two energy drinks. Given this information, it is prudent to carefully examine the effects of these beverages, marketed as ‘nutritional supplements,’ and also to seek other alternatives to provide energy throughout the day. 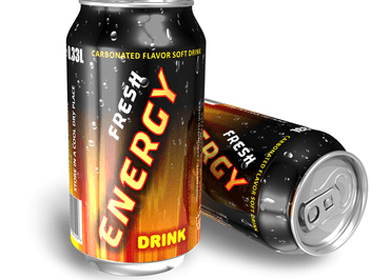 A statistics report by the U.S. Drug Abuse Warning Network compiled in 2011 shows that emergency room visits linked to energy drinks increased tenfold between 2005 and 2009. Approximately 70% of these cases involved teenagers aged 12 to 17. Anais Fournier of Maryland was one such case. Over the course of two days, she drank two 24-ounce Monster Energy Drinks before she collapsed. She died six days later. Her parents are suing the company, claiming that the beverage killed their daughter and that marketing it to children and teenagers constitutes negligence. Each can of Monster contains about 240 mg of caffeine, more than twice the recommended limit for children and teenagers (100 mg as opposed to an adult dose of no more than 400 mg per day). Each 5-Hour Energy Shot contains 215 mg of caffeine. It is proven that high doses of caffeine can cause insomnia, tremors, nervousness, and even heart arrhythmia and seizures. Additionally, Stephen Cherniske, in his book Caffeine Blues, writes, “careful research conducted by the department of psychiatry and behavioral sciences at Johns Hopkins University School of Medicine shows that low to moderate caffeine intake (as little as one 14-ounce mug per day) can quickly produce withdrawal symptoms.” These effects may be intensified when in combination with other additives used in energy drinks, such as guarana and taurine. Instead of consuming these cans of fizzy potential death, consider trying the following delicious alternatives. Yerba Mate and ginseng are time-tested choices. You can also brew a pot of kombucha – a fermented tea that is easy to make yourself. Green tea is also a good choice to begin limiting your caffeine intake and filling your body with antioxidants instead of harmful artificial colors and flavors. The choice is yours, but remember the story of Anais Fournier, and be wary of the consequences. Hey Buddy!, I found this information for you: "Energy Drinks Aren’t Healthy, But Are They Fatal?". Here is the website link: https://www.thealternativedaily.com/energy-drinks-arent-healthy-but-are-they-fatal/. Thank you.